The main level of this modern house has about 1200 s.f. 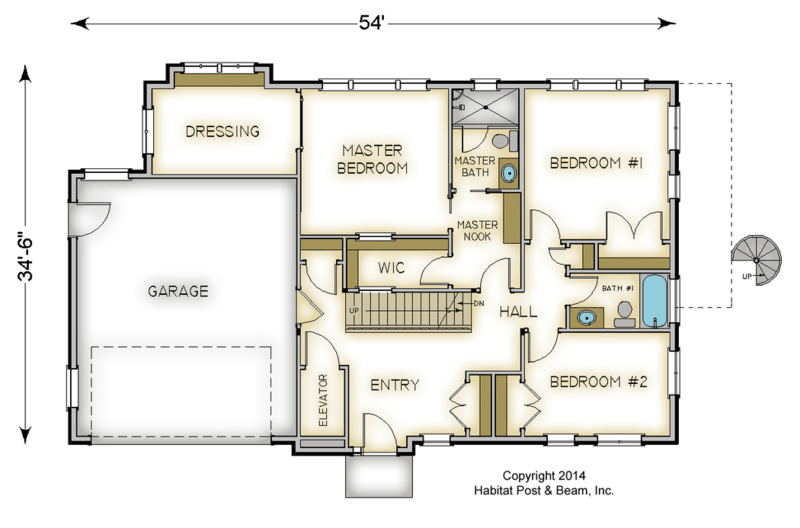 and is home to the master bedroom suite, and two additional bedrooms and baths. The upper level (1600 s.f.) 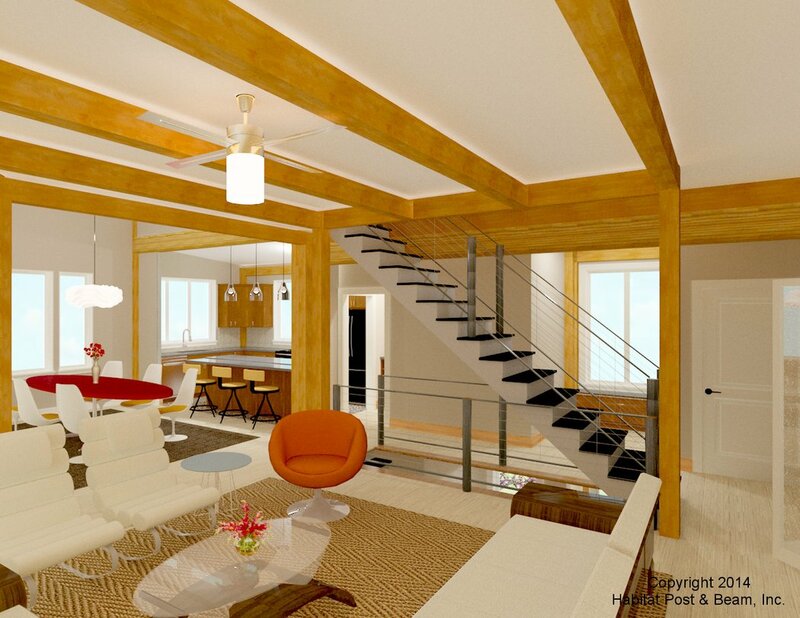 is the primary living space, with a large family room and study on one end, a central living room, and the kitchen and dining areas on the other end. The top level (650 s.f.) 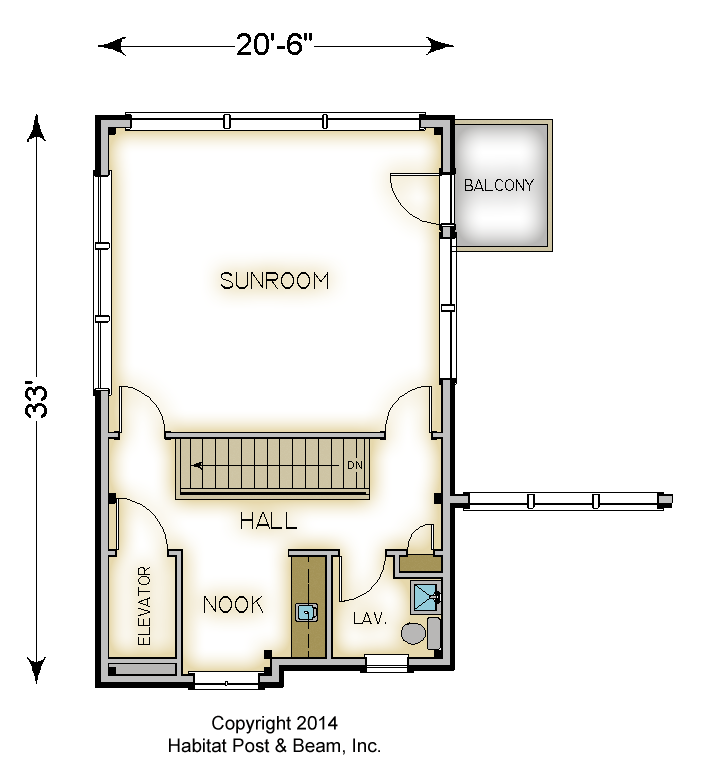 is a generous sun room with a balcony, as well as an additional bathroom and reading nook. The lower level walkout basement (1200 s.f. 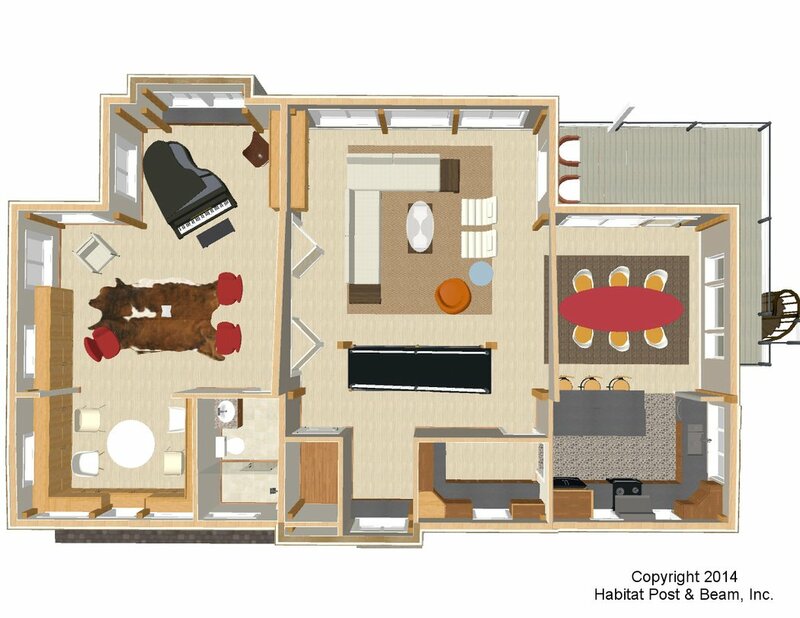 plus additional storage under the garage) has an additional bedroom with a bath, laundry, and utility and storage areas, as well as a large central area designed as a studio. 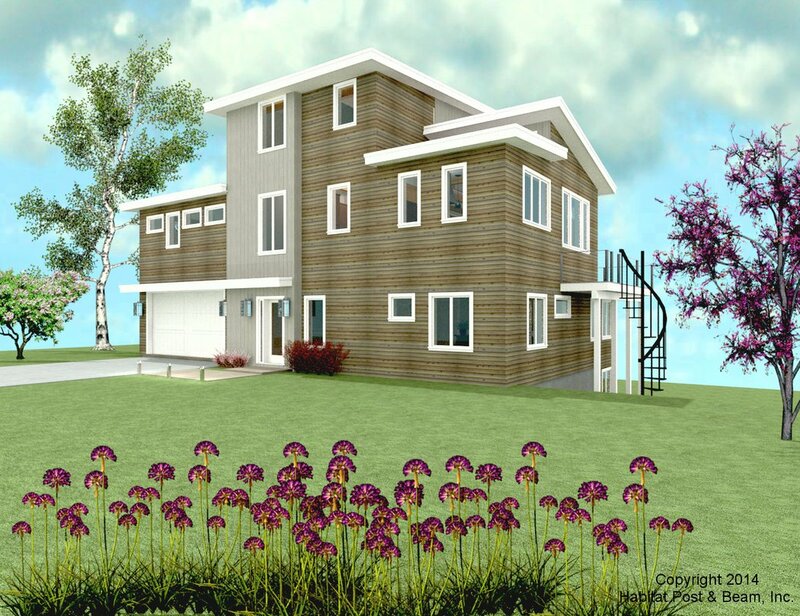 Package Price: $250,500 as specified below (from $239,000 to $283,500 depending on framing options). The standard price includes our Full Exposure Wall System, Plaster and Beam or Beamed Mid-Floor System (same package price) and our Plaster and Accent Beam Roof System. 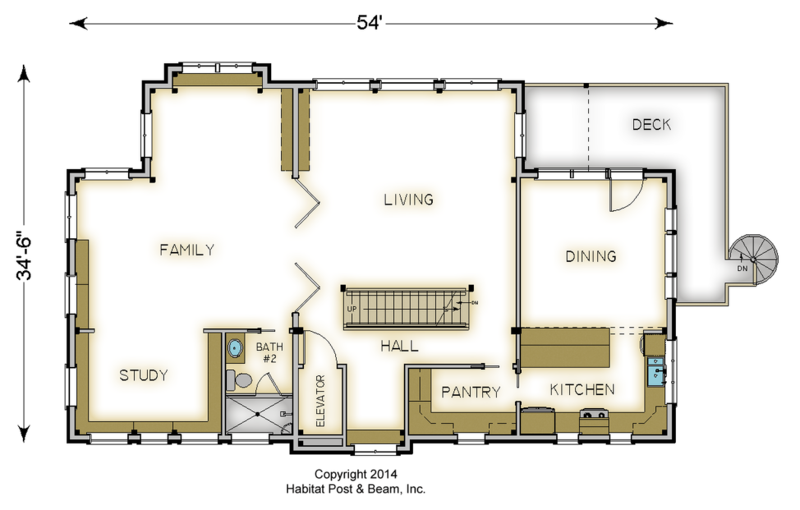 The above is priced based on the plan which does not include timbers in the garage.